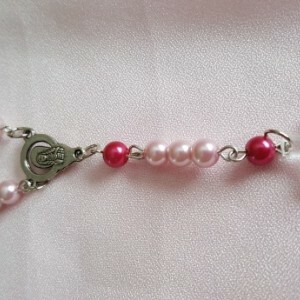 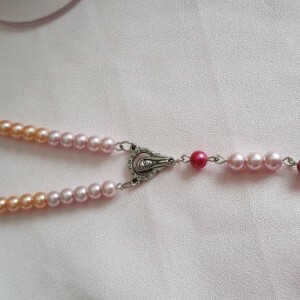 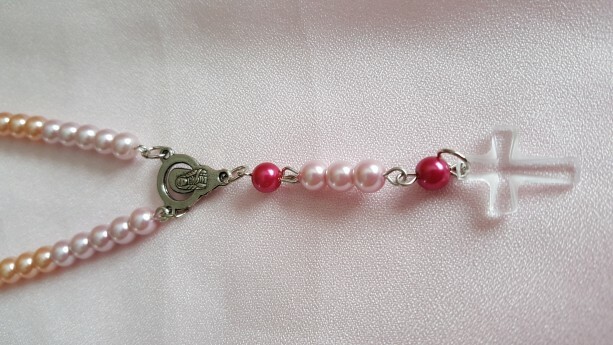 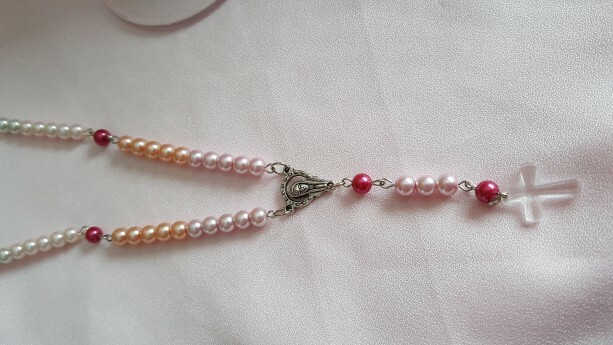 This is a perfect travel Rosary set for those who want a little more traditional with a twist. 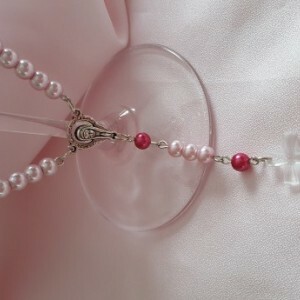 This is a full Rosary set in an Ombre color pattern. 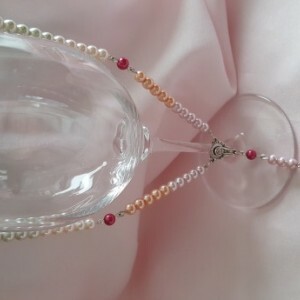 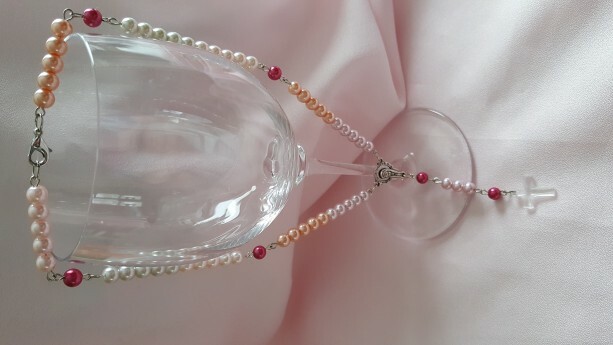 This set does not give bling when the sun shines on it, as it is made with colored glass pearls. 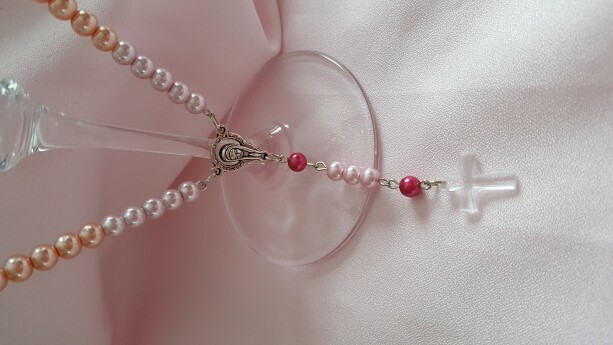 The cross is a clear authentic Swarovski glass cross.